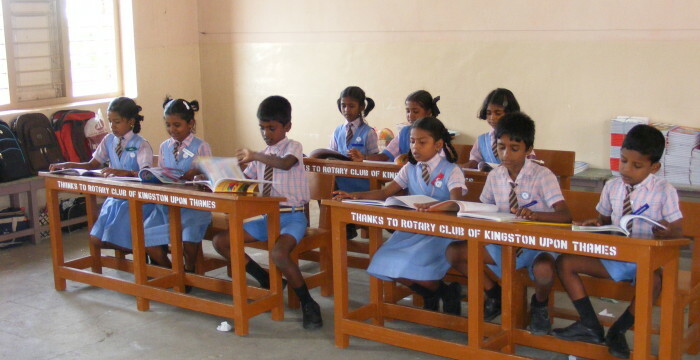 Rotary members carry out a wide range of programmes and activities. With local Rotary clubs in every corner of the world, we are able to work directly with clubs in disaster hit areas to understand what aid is needed and be sure that money raised goes directly to those in need. Projects range from providing water and sanitation, disease prevention, literacy projects, education, building schools, hospitals, water wells and growing local economies through sustainable development. When disasters such as earthquakes, typhoons or floods occur around the world, we are quick to respond through our support for survival kits such as ShelterBox and AquaBox, which provide the basic essentials required in an emergency situation. Vision Aid : We are active in collecting redundant spectacles that are sent to a Vision Aid’s recycle centre where the donated second-hand glasses are sorted for their precious metal content (gold frames) and any retro or vintage glasses are sold. The income generated through the recycling process enables them to deliver sustainable eye care services in their partner countries. Water Aid: We have an ongoing relationship with Water Aid who work in 17 countries providing water, sanitation and hygiene education to some of the world’s poorest people. They work with local communities and use a mixture of low cost technologies to deliver lasting solutions. Sponsored Voluntary Service Overseas (VSO) Worker: VSO is a leading development charity with almost 1500 skilled professionals currently working in 34 countries. They respond to requests from government and community organisations throughout Asia and Africa. Kingston Rotary is proud to be sponsoring Alexa who is currently in Abi Adi in Ethiopia. SOS Children Villages: SOS Children is the world’s largest orphan and abandoned children charity. They provide a new family in amazing Childrens Villages for over 60,000 children in 123 countries, and helps almost a million more people through their projects around the world. Kingston Rotary Club is proud of its sponsorship of Moise aged 6 in Kigali . Lend with Care : is a revolutionary way for you to help people throughout the developing world transform their future. Set up by one of the world’s leading aid and development organisations, lendwithcare.org enables families to find their own route out of poverty. And it allows you to have a direct impact on their lives. 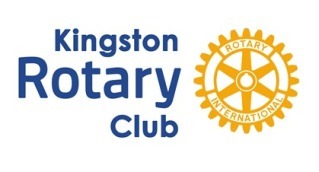 Kingston Rotary are currently supporting Martha in Petuake, Zambia who is married with five children and with the money we have lent her she will set up a stall to sell rice, sugar, candles, biscuits and other assorted goods. From the profits she will repay us, take her children to school and provide enough food for the family. Kids for Kids: Kids for Kids adopts whole villages, lifting them out of abject poverty. The loan of 6 little goats gives the children urgently needed goat’s milk – protein minerals and vitamins which make a dramatic difference not just immediately, but for their long term health. 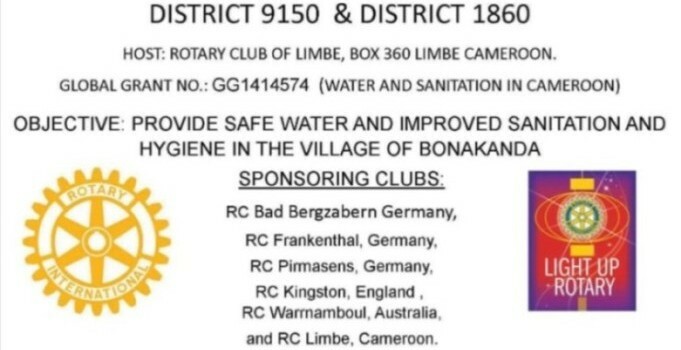 The Club has a regular programme of exchange visits with Rotary Clubs based in Bad Bergazabern, Germany and Poissy, France. This is an excellent way of meeting Rotarians from other countries and of visiting those countries with excellent tour guides! The Club also has links with clubs in Belfast and Australia.